John A. Pedlar and Mildred Doran posing with M. R. Lawing. 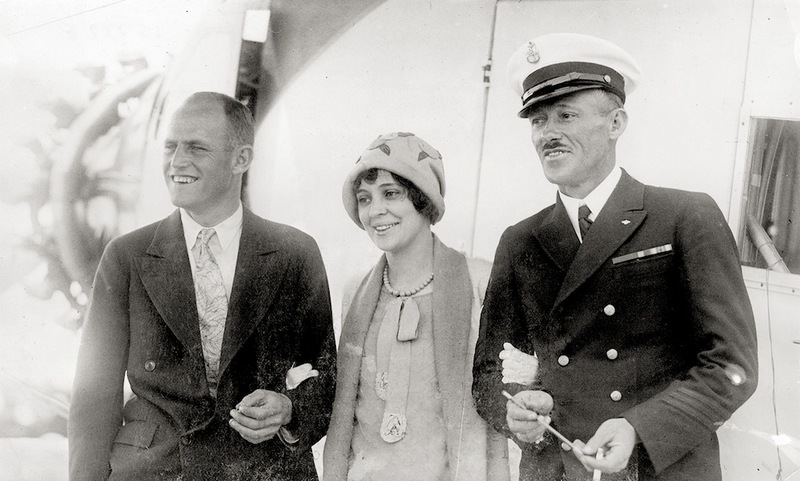 John Pedlar, Vilas Knope, and Mildred Doran were the crew of the Buhl Air Sedan Miss Doran during the Dole Air Race. M. R. Lawing taught Doran how to read air charts for the ill-fated flight. John A. Pedlar and Mildred Doran posing with M. R. Lawing.